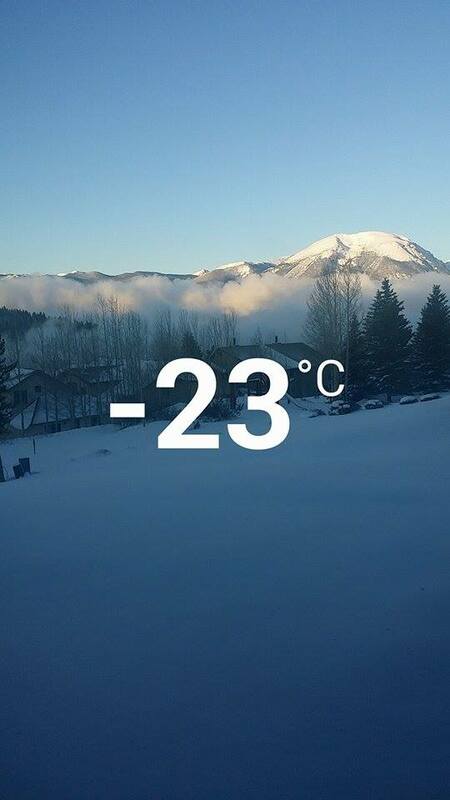 Since arriving in Dillon we’ve had good snow, cold temperatures and a lot of excellent training, joining in with a number of international athletes. 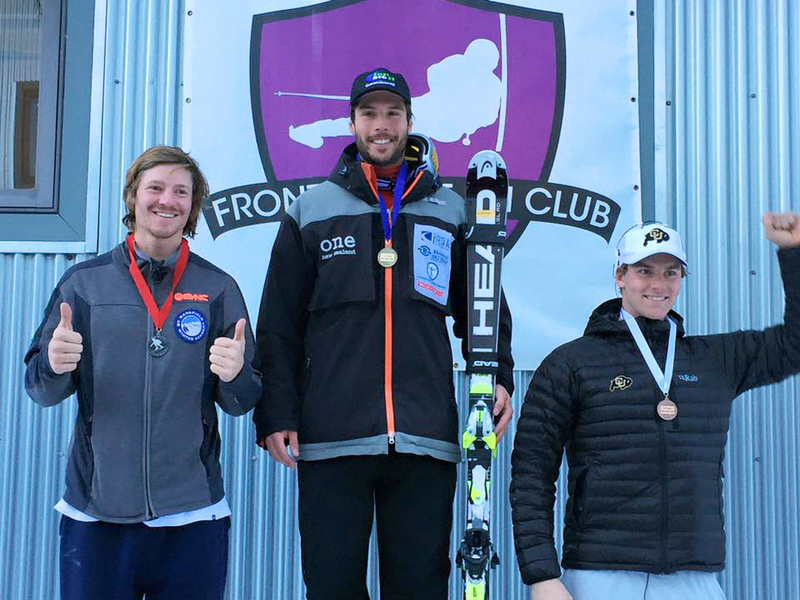 Our first races for the season were at Echo Mountain, CO (see results on link) with two slalom races and a large field of 120 international athletes. I managed to put in a really good first run coming in .42 seconds ahead of the field. The snow was a bit soft on top but a good layer underneath and I was really pleased to finish the second run well keeping me in first place ahead of Robbie Kelley in second and Ola Buer Johansen, Norway in third . 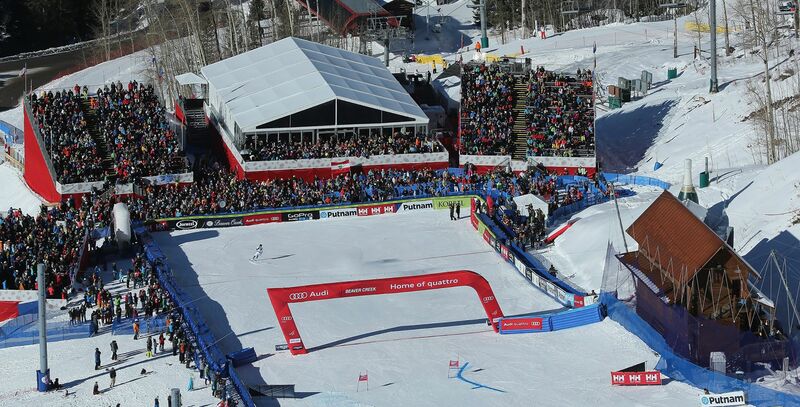 It’s an awesome way to start the season – with a podium and my best points result in slalom of 15.08! Day two was a similar field but I wasn’t quite as fast, coming in 3rd after Robbie Kelly 1st and Marco Reymond, Switzerland 2nd. 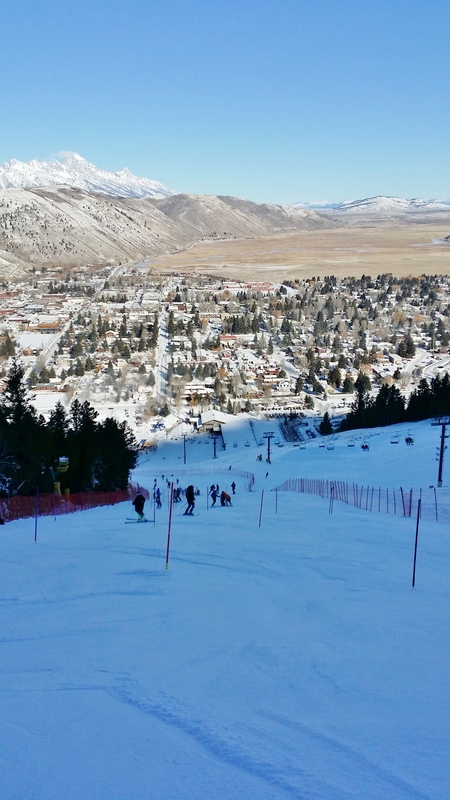 From Echo Mountain the races moved on to Snow King, Jackson WY for the NorAM slalom races, ten athletes under 10 points! The course was incredibly slick on the bottom half where the watering crew got a bit carried away. On day one, I put in a good first run moving from start 26 down to 11, unfortunately I broke a gate which fell down in front of me in the second run which wrecked my rhythm, coming out lower down. Day two I moved a bit too laterally, hip checked and came out – less than one third of the field managed to stay in on day two. 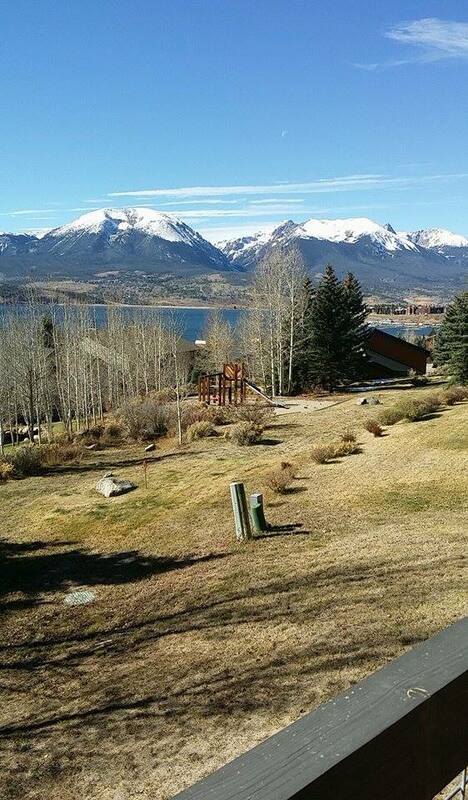 Back to Dillon for two giant slalom NorAM’s at Copper Mountain, CO 30 Nov and 1 Dec with another large field of top athletes including number 5 in the world, Fritz Dopher plus 24 athletes under 10 points. The race course was quite aggressive man made snow. Day one starting bib 55 I had a good first run putting me into 22, unfortunately with a few tough turns in the 2nd run I dropped back to 30. Day two I made a few errors in the first run, where I drifted in to the top of the turn on some turns so missed making the flip but had a cleaner second run coming 18th putting me in 28th position. USA athlete Tommy Ford took out the win on both days. 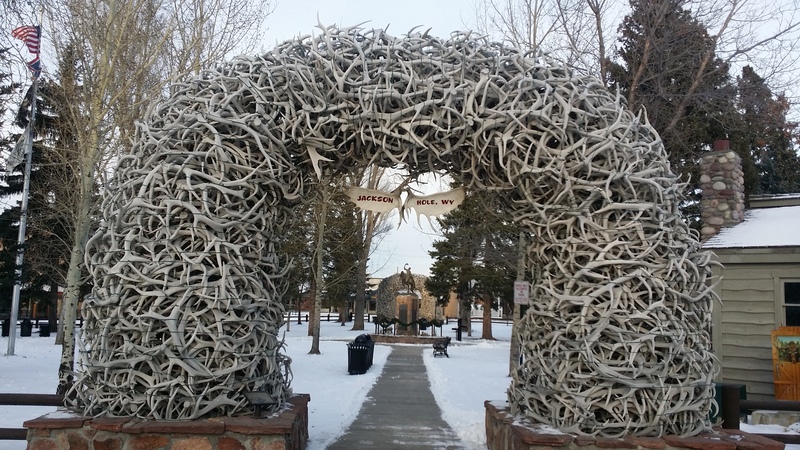 Couple of images below from Jackson, Wyoming with the Main Street and antler arches! 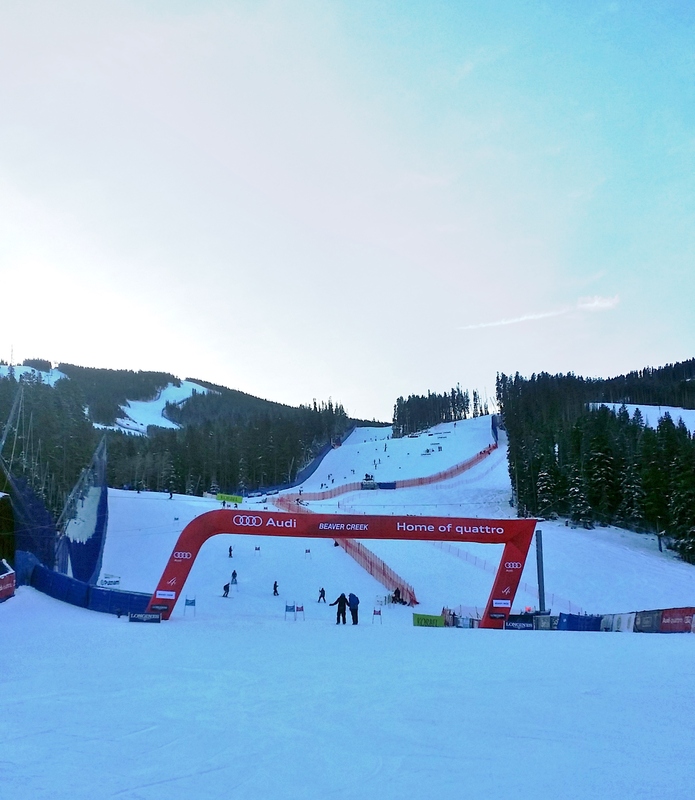 Next up was a Super G at Copper Mountain where I managed to move up a little from start 21 finishing 12th and making a few points, 44.28 but we skipped the second day of SG racing to get in some giant slalom training at Vail before the World Cup. Had a really good session doing timed runs with some of the German team including Fritz Dopfer and Felix Neureuther, and managed some very respectable times. 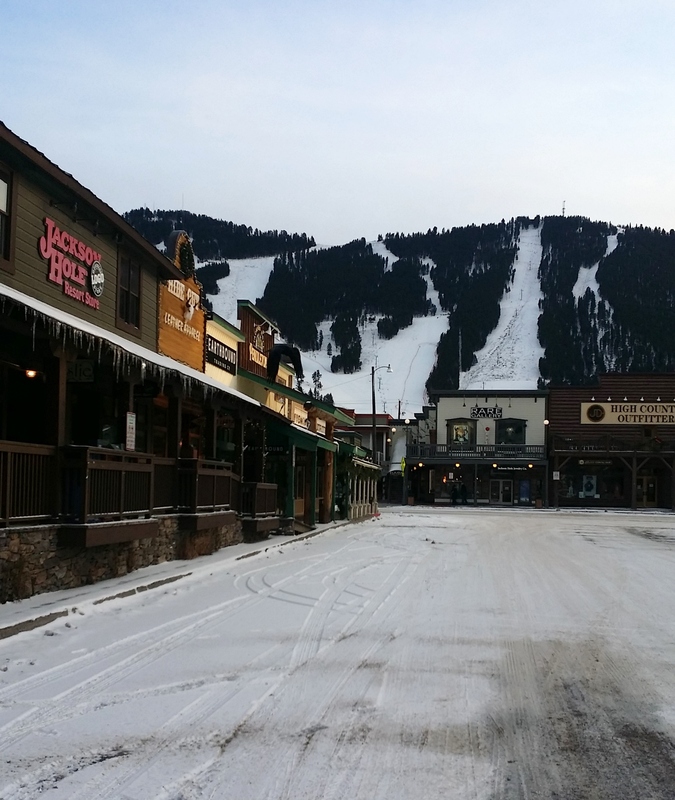 I finished off the racing in the States with my first World Cup Giant Slalom race on Birds of Prey, Beaver Creek. (photo inspection time looking up from the finish) It was a pretty tough long course with a number of the top athletes not finishing, including Ted Ligety. I started bib 63 and managed to finish in 49th place, 1.21.34 unfortunately I made a mistake near the top just before the flats so lost speed! Only top 30 get to do the second run so it was time to finish packing and head to Denver to catch the evening flight to Calgary. Arrived into Lake Louise after midnight where we will be based for five days for the NorAM speed events before heading to Panorama. It is currently snowing and team mate Willis is battling the elements as they attempt to get the men’s training run for the Downhill done .